At the time, many scholars were trying to figure out why so many African countries did not become democratic after they gained their independence from colonial rule. 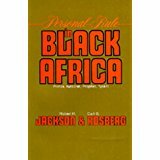 The reason, the authors in this book argued, was that African “big men” were personalist rulers. They didn’t care about laws, political institutions, or consistency in public policy. All they did was decide on a personal basis who got what when. And often the people who got— who were given profits, land, mines, slaves, women, graft from foreign aid—were the big men themselves, their relatives and their friends. These types of rulers engaged in what the early-20th century sociologist, Max Weber, called kadi justice. The ruler made decisions about justice on an ad hoc, individual basis: he didn’t refer to rational principles and he wasn’t concerned with consistency. This was the type of justice, Weber thought, that Muslim sultans often engaged in. Kadi rulers still exist, for example in Saudi Arabia. You can go to the local prince’s house, line up for an audience (literally, a hearing) with him, and hope that he’ll be interested in your case and give you justice. But he can just as easily brush you off or even arrest you for questioning his authority or complaining about one of his relatives or cronies. Donald Trump is now a “big man,” the biggest in the world. His idea of justice is to dish out goodies to his family and cronies. He’s brought in some of the richest men on Wall Street to his government, even though throughout the election he derided Hillary Clinton’s alleged ties to Wall Street. He’s behaving just like the personalist rulers in Africa who smile smugly as they dispense billions of dollars in graft to their families, ethnic kinsmen, and friends. And who occasionally dole out a few dollars or privileges to the “little men” who beg them for help. So now Trump feels good: 1000 people and their families are grateful to him and many voters think that he is able to keep his promise to keep jobs in the USA, despite technological developments and despite globalization. Those 1,000 people, though, will probably lose their jobs fairly soon, as the other 1100 people working for Carrier in Indiana already have. Meantime, other companies have learned that if they threaten to move out of the US, they too may receive goodies from Trump in return for staying. When Trump did this deal with Carrier he ignored precedent, he ignored consequences, and he ignored the actual policies of the US government. He preferred crony capitalism, a characteristic of states where rich people and political leaders are cronies. 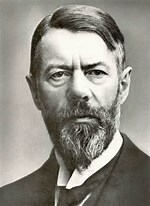 He was completely oblivious to what Weber called “rational,” or rule-bound, justice. Rational justice applies to everyone and is consistent in its application. After he negotiated this deal, Trump went on a “thank you” tour, where he once again enjoyed the adulation of the crowds that had voted for him. Sultans do this too. They periodically pick up their tents and travel with great fanfare around the country, where residents cheer them (whether they really want to or not). Like African chiefs who have “praise-singers” to accompany them when they travel, Middle Eastern sultans want praise: power is not enough for them. And God help those who don’t praise them. And God help not only all those Americans who don’t praise Trump, but even those who do, and who will learn soon enough that having an irrational, personalist ruler means they can’t predict what the future holds for them.